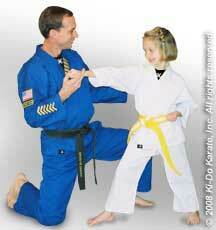 Ki-Do Karate offers 10 different programs to meet the needs of students ages 4 through adult. All programs are taught by certified instructors to make each class a rewarding and positive experience. In fact, Ki-Do is one of the Midwest’s instructor training schools, helping students who wish to become certified instructors. Instructors become personal success coaches for their students. They give students constant challenges, positive reinforcement, and guidance.